April is Stress Awareness Month. Everyone deals with stress. In fact, 90% of what takes us to the doctor is stress. How can we heal from stress so that it doesn't manifest in disease? I recently watched the movie that’s making waves in the wellness world and I was so moved by the message that I wanted to share it with you. It's called HEAL and it's currently streaming on Netflix. Directed, written, and produced by Kelly Noonan Gores, this documentary takes us on a scientific and spiritual journey where we discover that our thoughts, beliefs, and emotions all have a huge impact on our health and ability to heal. The latest science shows that we aren't victims of unchangeable genes, but in fact, we have more control over our health than we have been taught to believe. This movie will empower you with a new understanding of the miraculous nature of the human body and the extraordinary healer within us all, and if it doesn't, well then I don't know what will. As we know, stress is the underlying cause of 90% of disease. In the HEAL, they break down the 3 different types of stresses. All of these stresses knock our brain and body out of balance, but we can find a way to re-balance our bodies through a variety of healing modalities, some of which are explored in the movie. 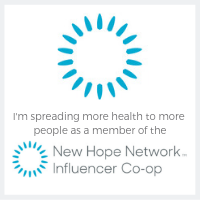 Household name health experts include Michael Bernard Beckwith, Joan Borysenko, Gregg Braden, Kelly Brogan, Peter Crone, Deepak Chopra, Dr. Joe Dispenza, Mark D. Emerson, DC, CCSP, David R Hamilton, Ph.D., Bruce Lipton, Ph.D., Anita Moorjani, Dr. Jeffrey Thompson, Kelly Turner, Ph.D., Dr. Darren Weissman, Rob Wergin, Anthony William, and Marianne Williamson. 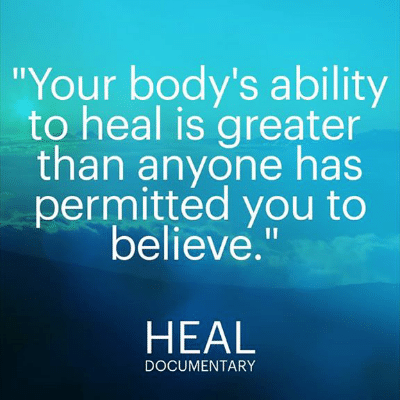 The simple message of the movie is that humans are designed to heal and that each of us has the power to help our own bodies and minds to achieve optimal wellness through whatever healing modality works for us. Now go HEAL yo'self! Healthylicious Bliss™. Powered by Blogger.